Reliance Jio has been known for providing very attractive deals to the users who are on the JioPrime Membership which has been a prominent highlight among all their offerings. 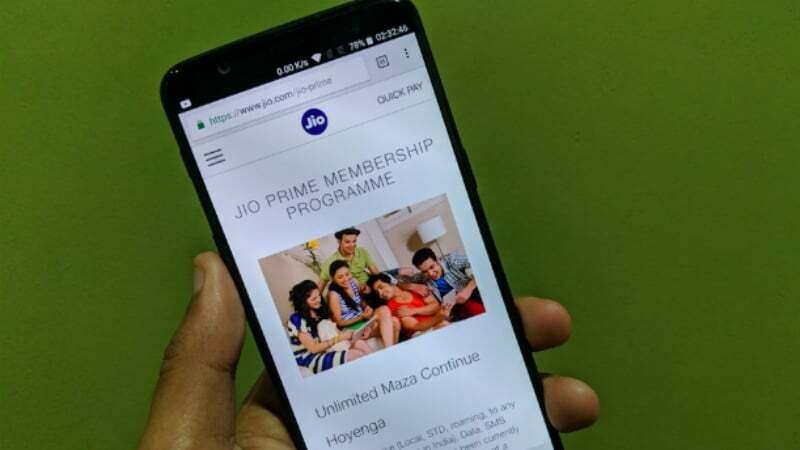 The JioPrime membership has now ended for all the existing users, but there’s a reason for Jio users to be happy as Reliance Jio has revealed that they will bump every customer who has ever enrolled for the Prime Membership before to renew their subscription to Prime. The users who are trying to get the free renewal might go through some glitch since Jio which boasts of 175 million customers in India will experience heavy traffic on its servers when an entire lot of users will try to open the website to renew their Prime subscription. We have however found a way around this glitch to ease the process of renewing the Jio Prime Subscription. To get the option of Renewal in the MyJio app users will need to force quit the app and use their 4G Jio data for some time (maybe for 15 minutes or 30 minutes). After browsing the web or watching videos with Jio data, the users will be required to again log in to the app using their Jio numbers. Now when the users open the MyJio application again, they will be able to see the banner about Jio Prime renewal on their home screen. The users who get to see the banner on their MyJio app will only have to tap on the banner to proceed with the renewal. After tapping on the banner, the app enlists all the number under the user’s possession for which they would like to renew their Jio Prime subscription. To go ahead, the users would only have to select the numbers and tap on proceed. The renewal gest credited to the account of the user within hours. It is worthy to note that Prime membership is an essential service since it is even required to recharge the Jio using its plans. Therefore, we recommend that users who have paid Rs 99 previously to get the Prime Membership from Jio should definitely get their numbers renewed. New Users of Reliance Jio who aren’t enrolled for the Prime Membership should definitely get the prime subscription as it offers very amazing deals on the MyJio application. To do so, all the users will need to do it click on the Prime Membership offer banner and proceed with the transaction to pay Rs 99 and confirm their Jio Prime Membership. Most probably, users will be asked to enrol the JioPrime membership at the time of purchasing the SIM card itself. i unable to proceed recharge via MyJio app, it’s may be Jio, prime renewing heavy traffic on site ? is there a reason to optout of jio prime? or is there anybody who have only normal jio membership not prime?